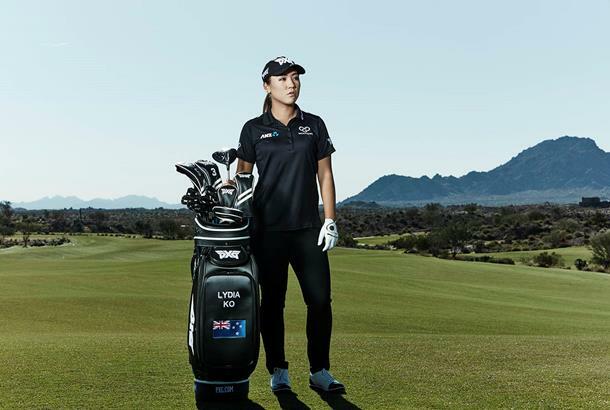 Parsons Xtreme Golf has added world number one Lydia Ko to their PXG troops squadron for 2017. In a bold move, the brand has focused solely on signing LPGA Tour talent for the 2017 season. At the top of the list is world number one, Lydia Ko as well as Brittany Lang (reigning U.S. Women's Open Champion), Christina Kim (3 time LPGA Tour Winner) and Ryan O'Toole (2011 Solheim Cup Team Member). "This year PXG is looking at golf and the tour from a global perspective," said PXG founder and American entrepreneur Bob Parsons. "In 2016 we saw remarkable growth in international sales, but we recognize that we have only scratched the surface. Tour validation is important, and the ladies tour is wildly popular in many countries. We had five exceptional ladies on staff in 2016 and this year that number has grown to nine. These players, as well as our top-notch PGA TOUR pros, will help us bring PXG's unmatched technology to passionate golfers around the globe." "It was always my dream goal to become world number one," Lydia Ko shared. "Now that I have reached that benchmark in my career, I am focused on consistently playing the best golf I can. When I first hit PXG's clubs I was extremely impressed by how they felt. They felt solid and the performance was – wow!" Known for developing leading technology that delivers indisputable performance. The company invests heavily in research and development, and does not prescribe to traditional product cycles. "I've had PXG clubs in my bag for several months and all I can say is they are the real deal," said Christina Kim. "The wedges have got to be the best I've ever played and the rest of the clubs are simply excellent. I couldn't be more excited about being part of a company that is disrupting norms and taking risks in the name of innovation and performance." "I have so much respect for PXG and Bob Parsons," Brittany Lang said. "Being on staff is really a special opportunity." "From founder to fitter, every representative of PXG is passionate about golf and dedicated to making sure golfers are able to experience incredible results on the course. I have never been so impressed by a company," Ryann O'Toole added. The new players will join current #PXGTroops James Hahn, Billy Horschel, Charles Howell III, Zach Johnson, Chris Kirk, Ryan Moore, Charl Schwartzel, Cristie Kerr, Alison Lee, Sadena Parks, Gerina Piller and Beatriz Recari.